Death. Nothing in this life is certain but that except death, but that is the one thing almost everyone prefers not to think about. It is depressing to think about our own demise. Why think about something that depresses you? Because it is not about me, it is about the loved ones I leave behind. My husband will be an emotional wreck if I, well, leave him. Money will be the last thing he will think about at that time, but he has to eat. We have some dreams, some expensive dreams that we want to make a reality. That will cost him a lot of money. I will be doing him an injustice if I left him unable to pursue those dreams. I have been trying to put together a master information kit that has everything he needs in case of an emergency. Power of attorney for health care/Health care proxy: This part lets you name someone to make decisions about your health care if/when the doctor declares that you no longer can make/communicate your health care decisions. Living will: This section has information about your wishes about different end of life decisions, if you can no longer speak for yourself. Physician directive: A form that lets you designate a physician to have primary responsibility for your health care. From what I gather, it need not be all in the same form. Some people choose to do those individually with their attorney as part of their other estate planning documents. The power of attorney for health care and the living will put together are called an advance health care directive. 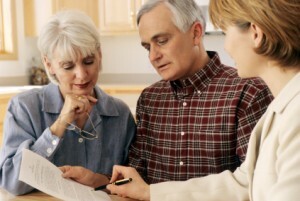 A will is one of the most basic and most common estate planning documents. A will, at its simplest form, will dictate who will inherit your assets and who will become guardians for your children. Most estate planning attorneys will ask you to have a revocable living trust instead of a will to avoid probate and to give more detailed/complex instructions. Here is a great comparison of what wills and living trusts can do, and their pros/cons. At this point, all we have is a simple will that I made up myself. When our net worth hits a certain point or if we have a child, we will consult a lawyer to have a more robust living trust in place. A will is very easy to make, so even if you feel you don’t have assets significant enough to warrant meeting with a lawyer and setting up a living trust, at the very least, draft a will. HIPAA was created to protect the privacy of the individual, but it also makes it difficult for family members to discuss your health care and/or deal with insurance on your behalf at a time when you cannot do so. A simple power of attorney document lets you appoint someone you trust to handle important financial and legal matters on your behalf, but it becomes ineffective if you die or become incapacitated. You need to have a durable power of attorney if you want the power of attorney to continue to be effective even if you become incapacitated or incompetent. Durable power ends upon death. If you want to use a lawyer to draft any of these documents the American Bar Association offers a search and referral tool to look up lawyers in your state and Nolo has an extensive lawyer directory categorized by practice area and state. It took me almost two years to compile all this information in one place. This is a big binder of information about, well, pretty much everything in our life, divided into multiple areas. Make sure the beneficiary information is up to date for all your accounts. This is one thing we are still lacking. 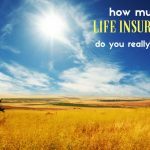 Yes, we don’t have life insurance. I have been meaning to get term life insurance but keep procrastinating. Until early last year, both of us were working and we didn’t have any kids. I was planning to get a policy when we have kids, but now debating getting a policy even before having a child. Hopefully, I can get this done by the end of the year. 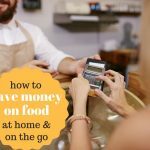 It is not a fun or even a comfortable exercise, but we owe it to our loved ones to make this as easy as possible. What end-of-life planning tools have you used? Do you feel peace of mind with these directives in place, or have you yet to establish your wishes? One thing you touched on in your Life Information Organizer which I think is essential is the digital info including user names and passwords. I think about this all the time as I have so many accounts that I’m not sure anyone would ever find, and many of them are essential either to some business of mine, investments, etc. This galvanized me to finally write them all down to put in my fireproof safe! Speaking of the potential for one’s spouse to go into melt-down mode, if one or the other of you handles the month-to-month bills, it’s a good idea to set up automatic payments through your bank or credit union. This really saved my friend a lot of anguish when her mom had a stroke, leaving her dad to cope. Mom had always paid the bills — and Dad had no clue. They lived in a different state from my friend. Mom’s having arranged automatic payments of the utility and insurance bills and automatic deposit of their Social Security and pension benefits meant that my friend could focus her attention on more immediate needs, and it gave Dad some time to figure out the financial stuff and get a grip on handling it himself.